You are here: Home / Ethnicity / What ‘race’ is an elf? Should we see fantasy novels as just that – fantasies? Andrew Smith suggests they can contain insidious racism. Last month saw the DVD release of the final film in Peter Jackson’s Hobbit franchise, the hugely successful follow-up to the same director’s film adaptations of J.R.R. Tolkien’s Lord of the Rings. If you want to know what ‘race’ an elf is, one way of finding out to get hold of an app which was distributed to mark the release of the previous film in the Hobbit series. This allows you to convert a picture of yourself into one of the film’s elves: to make an ‘elfie’ of a ‘selfie’. But only, it turns out, if your skin matches the range of skin-tones that the app shades around the sides of your portrait and only if you have straight hair which aligns with the long, straight elf-hair which the app superimposes. It quickly becomes apparent that not everyone can be an elf. The casting decisions which Jackson made in converting Tolkien’s novels for the screen make the same fact explicit, revealing the extent to which these supposed fantasies are aligned with the racial formation of the world in which we live. To play an elf – via an app, or on the screen – you must be white. We don’t need an app to show us this. To understand what an elf ‘means’, racially, we need only look at what an elf is not, at the imaginary others by virtue of which ‘elf-ness’ is constituted in these films, or in the vast genre of books and games which draw on the same imaginaries. The ‘other’ of the elves are also, consistently identified by their bodies. These are dark or olive skinned creatures, with dreadlocks or matted hair, with animalized gaits and gestures, who speak in the guttural accents of those who don’t use English ‘properly’. “Haven’t I encountered this crowd before?”, asked the Nigerian novelist Chinua Achebe, faced with the description of Africans in Joyce Cary’s Mr. Johnson: “screaming, shrieking, scowling” figures, “faces which seemed entirely dislocated, senseless and unhuman”. That representation, Achebe points out, is almost identical to the portrayal of Africans from Conrad’s Heart of Darkness, nearly four decades earlier. Both are rooted in the longer history of European representation of colonized peoples as ‘unhuman’. So here they are again. In Jackson’s films, and Tolkien’s novels before them, we encounter the same crowd, rooted in the same imaginary of empire, no matter how technically sophisticated the CGI which animates these ‘screaming, shrieking, scowling’ figures for contemporary viewers. Yet we need to be clear just how and why these fantasies articulate with contemporary structures of feeling and forms of racialization. The mock heroic qualities of Tolkien’s novels – especially his vision of a bucolic rural Britain – makes it all too easy to dismiss the books as an otherworldly daydream. This would be a mistake. Tolkien’s nostalgia is a product of the twentieth century. The most powerful passages of his writing are shaped directly by the landscapes and experiences of the First World War, in which he lost some of his closest friends. In that respect – despite the author’s protestations against reading his novels as allegories – the narrative structures of these books clearly establish a consoling response to the experience of inter-European warfare. Thus both The Hobbit and The Lord of the Rings lead towards denouements in which the good ‘races’ of ‘the West’ turn aside, at the last, from violence amongst themselves by remembering who their real enemies should be: the “senseless and unhuman” crowds of orcs, the “southerners” who are described as “sallow, leering and slant-eyed” and “the black men like half-trolls”. Jackson’s films accept these visions in large part, giving us a host of evil humans who, with their kohl-rimmed eyes and multiple piercings, come straight out of an Orientalist nightmare. The racism of both books and films is, in this regard, neither merely incidental nor is it just an uncritical hangover from the European discourses of empire. It is, rather, integral to the logic of these narratives and to the whole moral architecture on which the stories depend for their establishment of sympathy on the part of viewers and readers. The ‘we’ that these fantasies offer to us is a ‘we’ that is exclusively fair-skinned and straight-haired. And it is a ‘we’ constituted by a vision of itself surrounded and imperiled by those whose bodily darkness marks them out as a threat. Those bodily differences, moreover, justify an absence of any moral consideration towards these enemies, whose destruction by the ‘men of the West’ becomes as acceptable as it is necessary. Achebe, responding to the racism of Mr. Johnson insists on a simple but crucial question: “Cary is writing about my home, isn’t he?” In posing this question he calls the bluff of any attempt to write-off Cary’s representations as merely fictional. We need to ask the same question here and for the same reasons: these films are about our homes and lives, aren’t they? The simple answer, of course, is ‘no’. There are, after all, no such things as elves or orcs. So the question “what ‘race’ is an elf” might be dismissed as nonsense. But this misses the point. There are no such things as ‘races’ either. It is precisely the fantastic quality of these imaginings which serves to conceal how far they speak in chorus with those fantasies which sustain exclusion and violence in the world in which we live: how far they speak with dominant ways of imagining white identity, with representations of a Europe besieged, with practices of reading moral worth from appearance, all of which are all too familiar in our public life. It is too easy to write this off as ‘escapism’. This is an escapism which sustains the very thing – those ways of making sense of the world – from which we most need to escape. 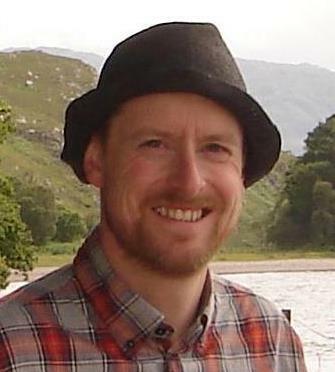 Dr Andrew Smith is a senior sociology lecturer at the University of Glasgow and a member of the ESRC Centre on Dynamics of Ethnicity (CoDE), which is based at the University of Manchester.